Recently, I published a blog discussing the major differences between the Republican Platform and the Democratic Platform in regards to housing. While both parties have historically promoted homeownership as a core policy – with disastrous results – for the first time, they have split dramatically. The Democratic Party has acknowledged that homeownership does not need to be the end goal for all Americans and has outlined a number of rental assistance programs. However, the fundamentals of this election cycle, and the Clinton campaign's reaction to them, should have all housing advocates wary of these promises. 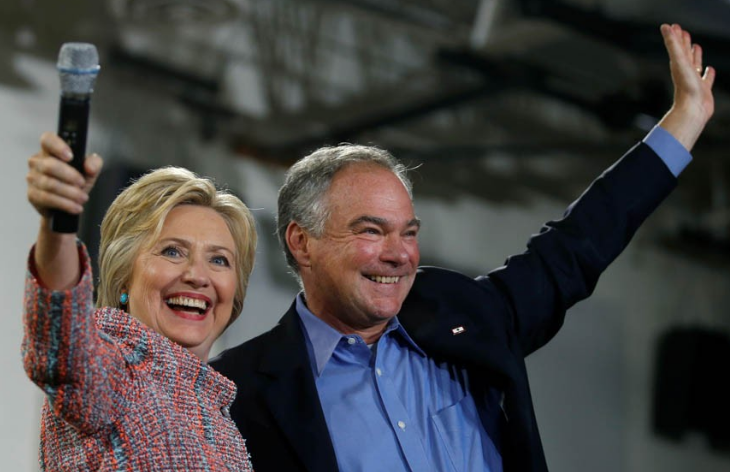 A recent Op-Ed by Vice Presidential Candidate Tim Kaine offers a good case study. Senator Kaine has a long history of housing advocacy first as a pro-bono attorney in Richmond, then as the city’s mayor, and then as the state’s governor. In fact, he has the most experience on housing of any major party candidate that I can recall. He is a natural and I think sincere spokesperson for the party’s housing policies. The policy proposals outlined in Senator Kaine’s Op-Ed are more or less a rehash of the party platform (CityLab has a great breakdown) with a focus on providing more assistance for low-income renters, first-time homebuyers, and a general nod to more federal assistance for public housing. Though they are light on specifics, I can’t stress how new the inclusion of these policies are as talking points in a national election. Neither party has ever outlined detailed rental assistance proposals in their party platforms and rarely has housing been discussed at length on the campaign trail. Though I welcome this spotlight on housing, my concern is that it is more of a political weapon for the election than a policy commitment for the administration. Senator Kaine and his history on housing are of course in stark contract to Republican Nominee Donald Trump and his history on housing. Mr. Trump’s father, while Donald was working with him, was prosecuted under the Fair Housing Act for discriminating against minorities in his complexes. Additionally, Mr. Trump sought to exploit the mortgage market and subsequent crisis. In case you weren’t aware of these facts, Senator Kaine points them out. There is much to dislike about Mr. Trump’s history on housing even if you ignore the rest of his baggage. But, to be clear, the purpose of highlighting Trump’s history on housing is not to contrast policies as much as it is to add to the narrative that the Clinton campaign is pushing – that Mr. Trump is a con-artist who exploits the working class and is unfit to be President. This is not a particularly hard narrative to push (indeed Mr. Trump seems more than capable of pushing it himself) but it reveals what audience the Clinton campaign is targeting: disaffected Republicans. You only have to look at Pennsylvania to see this strategy clearly. There are an estimated 1 million votes in suburban Philadelphia, and if Clinton can attract even a decent number of Romney voters, she will cruise to victory there at an even greater percentage than President Obama did in 2012. By pushing the narrative of Trump as a con-artist (regardless of its veracity), rather than running for or against any specific policy proposals, the campaign is trying to make it safe for Republicans to vote for a Democrat. This also reveals what group they are not targeting: progressives and ‘safe’ Democratic voters. “Vote capture” pops up in every national election because certain voters are simply not going to vote for the other party. Mr. Trump will likely do worse than Governor Romney among minorities, women, and young voters, all of whom overwhelmingly backed President Obama in 2012 (although less than 2008). Secretary Clinton could probably win the election without disaffected Republicans, but clearly thinks there is the possibility of a safer victory if she can attract some Republicans. The “boogie to the middle” is generally an accepted practice in Presidential elections after the primary season and there is clearly a predictable path to victory for Clinton with this strategy. But housing advocates should be weary for two reasons. First, this is not a normal Presidential election. Certainly one can point to the boorishness of Mr. Trump as a candidate to see that, but the larger reason, masked both by Mr. Trump and by the Clinton campaign’s response to him, is that the political status quo has failed to address the economic and social conditions facing the country, nowhere more clearly than with the affordable housing crisis. The populist outburst represented by Trump supporters on the right and by Senator Sanders supporters on the left are real, justifiable, and imperative to address. By making this election about how fit or unfit Mr. Trump is (and to a lesser degree about how trustworthy or not Secretary Clinton is) both parties have pushed aside those issues despite the majority of Americans demonstrating their anger over the status quo. Other than Senator Kaine’s Op-ed, when has housing been discussed at length? Will it even come up in the debates? The millions of Americans struggling with housing costs deserve that discussion and subsequent action. The primaries at least offered competing policy visions and bold ideas for the future. That type of leadership is in desperate need for this country but it is decidedly off the table in this election. This is a potentially tragic lost opportunity with severe consequences for millions of Americans. It calls into question if our current political framework is even capable of addressing these issues. Second, Secretary Clinton is taking a significant risk by courting disaffected Republicans instead of focusing on the progressive base (or the Sanders coalition.) It might win this election, but there is no governing coalition between disaffected Republicans and the progressive base of the Democratic Party. Will suburban homeowners really support allocating more tax dollars to rental housing assistance or even public housing? Most of the housing proposals in the party platform and Senator Kaine's Op-Ed would be dead on arrival. Consider this thought experiment: what if the Republicans had nominated a 'normal' Republican this time? Would Secretary Clinton try to reach disaffected Republicans or try to fire up the Obama coalition that has just won the last two elections? When it already seems likely that she could win based on this coalition, why reach out to disaffected Republicans? Does the Clinton campaign think she can't win without them? What is that calculation based on? In either case, what chance of major policy changes in housing are already off the table as a result of this strategy? The Clinton campaign must know that a Republican voting for Secretary Clinton is doing so out of disgust for Trump rather than supporting her agenda. This means that the Clinton campaign/potential administration also knows it is eventually going to underserve if not abandon one of these segments of voters. Given what strategy Secretary Clinton has chosen this time around, it’s not hard to see where President Clinton might focus in order to get re-elected. Winning now on this strategy seems like the safe play, but if the Republicans self-correct and nominate a ‘normal’ candidate next time, Republican voters will rally and the progressive base might not forgive her. In the meantime, it's hard to picture what housing policies would get enacted through Congress. It seems likely that Secretary Clinton will win this fall given Mr. Trump’s obvious shortcomings as a candidate and as a human being. But the way she is trying to win, largely on the margins of disaffected Republicans, shows at best a lack of vision and at worst a deep cynicism. The time for political triangulation is over. The time for creating a new vision for housing is long overdue. The Democratic Party platform and Senator Kaine’s background offer glimpses of a transformation in housing policy that our country needs desperately. If the Clinton campaign is already busy courting disaffected Republican voters (many of which are suburban homeowners), these glimpses might be all we see.